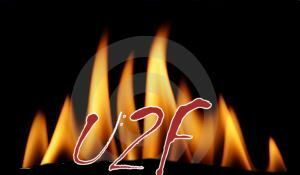 This is a web site about our club, U2F. We are 3 freinds, with the same ideals and love of Harley Davidson motorcycles. The members are Mel Slade, Terry Strayhorn and Russell Wiggins. Mel is the resident cruise director, we look to him for choosing the destination of our forays into the wild. Terry is the navigator, and trailer puller extrordinaire. Russell is usually just there for the beer. We have the support and love of three lovely ladies, Cindy Slade, Debbie Wiggins and who ever Terry picks up at the local strip bar. They are U3W. We usually rely on U3W to pack the bags for our rides, choose where we eat, and pick fights at the Circle K.
The following is a price list of my riding apparal. I had to use a table, so this is it.